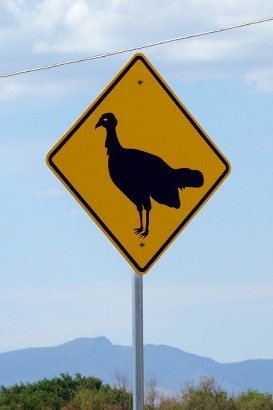 Like a flock of wild turkeys pecking around in search of food, the date that Texans set aside to celebrate their blessings kept jumping around the calendar until well into the 20th century. But just as there’s a big difference between the federal and state government, there was a big difference between Texas’ Thanksgiving and the federal Thanksgiving: By gubernatorial fiat in 1849, Texas’ special day would fall on the first Thursday of December. At least Wood picked a day in the fall. Earlier, Sam Houston had a different vision of when the holiday should be. As president of the Republic of Texas, Houston declared March 2, 1842 as a day both to celebrate Texas’ independence and be thankful in general. That late winter day was not only the date that Texas had formally cut its ties with Mexico, it just happened to be Houston’s birthday. 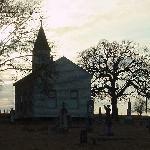 Following Texas statehood, Gov. Wood moved the holiday to December, but that didn’t last past the time his successor took over. 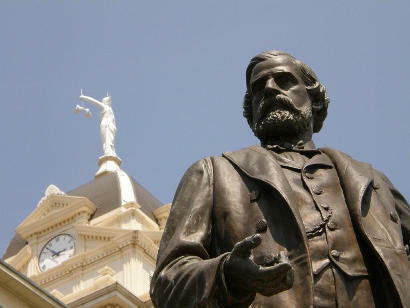 Statue of Peter H. Bell in front of the Bell County Courthouse in Belton. Bell’s seven-pargraph “recommendation” was that Texans should take the day off on the first Thursday of March. The first Thursday of March in 1850 happened to be the 6th. That day sound familiar? March 6, 1836 was the day the Alamo fell. Since Bell did not specificlaly set March 6 aside as the holiday, it’s probably just a concidence. Back then, Texas chief executives did a lot of their own writing, but Bell’s Thanksgiving remarks read suspiciously well for a fellow so country he was known to wear buckskin and a brace of pistols when he walked down Congress Avenue from the Capitol. The truth is, his secretary probably wrote it. Today, of course, it is a given that such a document would be written by a staffer, not whoever’s in the Governor’s Mansion. After the Civil War, as sore as most Texans were about the South having lost, they went along with Lincoln’s selection of the last Thursday of November as Thanksgiving. After all, that’s when the pecans started falling and pumpkins lay ripe for pie-making. But when another president tampered with Thanksgiving, Texas wasn’t so quick to follow. In 1939, Franklin D. Roosevelt declared the fourth Thursday of November as Thanksgiving. This, all openly admitted, was to give the nation’s merchants more to be thankful for by extending the Christmas shopping season an extra week. Twenty-three of the then-48 states went along with Nov. 23, 1939 as Thanksgiving, while an equal number decided the last Thursday, Nov. 30, was good enough. Two states – Colorado and Texas – figured what the heck, they’d celebrate both days as Thanksgiving that year. Two years later, Congress passed a law making the fourth Thursday of November the official federal holiday. But Texas, seemingly perpetually burdened with a propensity to become chaffed by Washington’s figurative saddle, decided to stick with the last day of November as Thanksgiving. However, since some Novembers have five Thursdays, “fourth Thursday” and “last Thursday” were not always the same. By the 1950s, Texas remained the last state still observing the final Thursday of November as Thanksgiving. Not until 1957 did the Texas Legislature finally pass a bill making the fourth Thursday of November the state’s official Thanksgiving holiday. That no governor or president has tampered with Turkey Day since then is something we all have to be thankful for.